Spanning the lives of women across the Old and New Testaments, Women of the Bible is a dramatic, one-woman presentation that brings the Bible to life in ways that offer lessons for the present and hope for the future. "It is my prayer that my dramatic retelling of these sacred stories glorifies God," says Anita Gutschick, the acclaimed actress who gives voice to these Biblical women. And for more than a decade, Anita's powerful, sweeping performances have reached tens of thousands of people across the United States with one central message: God worked - and continues to work - through ordinary people. Through God's calling - and the strong connection forged with audiences - Women of the Bible has since become one of America's leading one-woman Biblical shows. Anita routinely performs across America at churches, as well as schools and women's retreats. Using the sacred text as an outline rather than a script, Anita challenges her audience to look deep within themselves, and see how faith can strengthen their lives and relationships. Her unparalleled artistry, along with disarming wit and candor, result in powerful, intimate portrayals laced with soul-searching, interactive questions that keep audiences spellbound from start to finish. Anita Gutschick is an accomplished Playwright, Actress and President/CEO of Women of the Bible, a Sketch Performance company built on character sketches of Women in the Bible. Each Biblical character sketch is written and performed by Anita. Anita has performed Women of the Bible over 1,000 times (and counting!) in 36 states and the District of Columbia at women's retreats and conferences, small and large churches, and youth groups! Along the way, Anita has traveled over 150,000 miles, bringing Women of the Bible to venues that cross denominational lines. Anita's performance vita includes roles in multiple theater companies throughout the Baltimore/Washington, DC area, such as the Colonial Players of Annapolis. Since 1989, Anita has been known for her extensive stage work, as well as her work in radio and film. 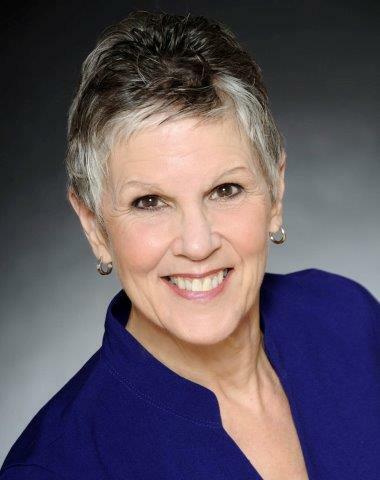 Anita's education background includes formal acting, voice and movement, and she has worked with Burn Brae Dinner Theater's Student Enrichment Program and Maryland Hall Story Theater. Anita is a member of Christians in Theatre Arts (CITA) and the Network of Biblical Storytellers (NOBS). To see what audiences have to say about Women of the Bible CLICK HERE. Anita with guest actress, Joanne Hagemeyer. Joanne Guarnieri Hagemeyer has studied the Bible with Bible Study Fellowship (BSF) for 25 years, and currently serves as an area advisor for women's classes in Maryland and Virginia. She also teaches the Bible and does lay counseling with her church. Joanne appears in the program Principles & Passion with Anita, and is a co-leader for the Principles & Passion Retreat. Kathleen Ruttum graduated from the Catholic University with a BFA in Theater, special concentration in Acting. She performed in several local theaters while in Washington DC, prior to her move to Annapolis. In Annapolis, Kathleen has performed in several local theaters, including Colonial Players, Annapolis Summer Garden Theater and The Dignity Players. Notable roles to date include: Beatrice in Much Ado about Nothing, Titania in A Midsummer Night’s Dream, Margarethe Bohr in Copenhagen, Sr. Helen Prejean in Dead Man Walking. When not performing, Kathleen is the Theatrical Director for St. Mary’s School and is the Co-founder and Director of the St. Mary’s Theater Performing Arts Camp. She has taught theater in local area colleges and is a featured speaker in many local churches. Her directing work continued with Women of the Bible when colleague Anita Gutschick enlisted her help in developing her on-stage presentation. Kathleen has worked very closely with Anita to maintain that the essence of the characters. Kathleen is married with four children and considers her work in Theater as a “gift from God.” She is grateful for the opportunity to proclaim her joy in Christ through the universal language of the stage. Kimberly Aronoff Lahodny is Chief Creative at Daring Words Media. She holds a BA in Music from American University and a MFA in Screenwriting from Pepperdine University. Kimberly specializes in storytelling through media and internet branding. She is an actress in her own right and scripts children's plays. Kimberly is responsible for publicity for Women of the Bible and Media presence. She currently resides in Northern California with her husband Russell and daughter Evangeline. To contact Kimberly email daringwordsmedia@gmail.com.